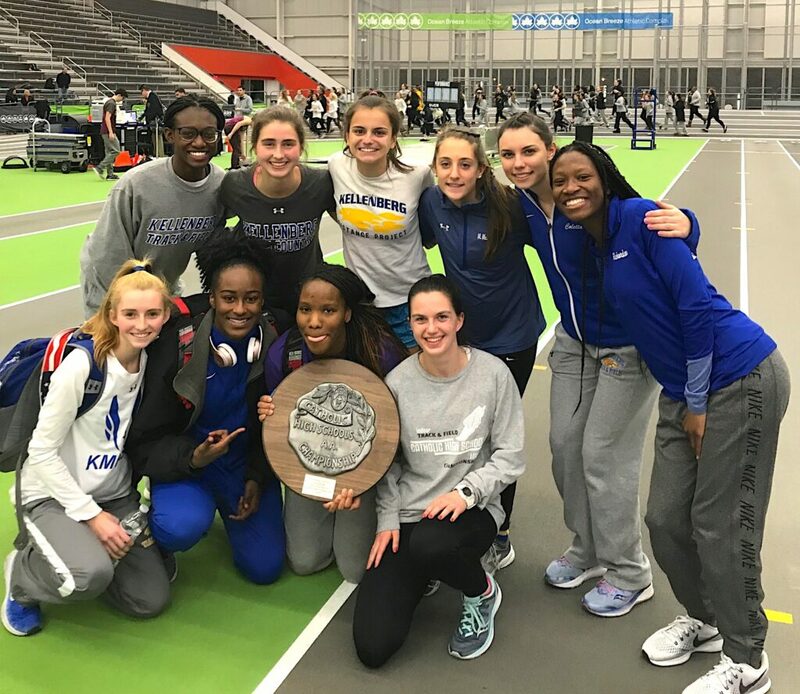 In an extraordinary team performance, Kellenberg’s Girls track and field team finished second in the CHSAA Intersectional Championships. Maureen Lewin led the team with a win in the 1000 meters and teamed up with Madeline Lay, Maya Richardson, and Brianna Lausev. Richardson and Lausev had also qualified individually in the 600 and 3000 meters respectively. Camryn Beckford quailed with a third place in the 300 meters and joined Chrissy Foster, Claire O’Regan and Olivia Coletta to finish second, qualifying in the 800-meter relay. Margaret McLoughlin ran to a ten second personal best in taking third in the 1500 meters. Sam Bendig added key points in the shot put. Quite a day for the highly motivated Lady Firebirds.